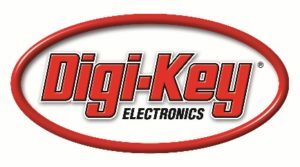 THIEF RIVER FALLS, Minnesota, USA – Digi-Key Electronics, a global electronic components distributor, continues to strengthen their offering of Industrial Automation (IA) components, enhancing design and project capabilities in countless IA applications. The company has added over 14,000+ Industrial Automation part numbers to their portfolio in categories such as sensors, cables, safety devices, control monitors, relays, timers, switches, lighting, and controllers, among others. For more information, please visit the Industrial Automation page on the Digi-Key website.